Last night as I was tracking Mohammed Assaf’s travels across America I intercepted the Facebook page for The Palestine’s Children Relief Fund – Detroit Chapter where Assaf made a stopover for a meet and greet. Gillian Beale, Kate McAvoy, and Ruth Kellow, as well as coordinator Seonaid Biagioni. Also crossing Erez today after several weeks volunteering in Rafidiah Hospital in Nablus is general surgeon Dr. Steven H. Untracht, who has been on several past PCRF missions to Palestine as well. — with Steven H. Untracht. 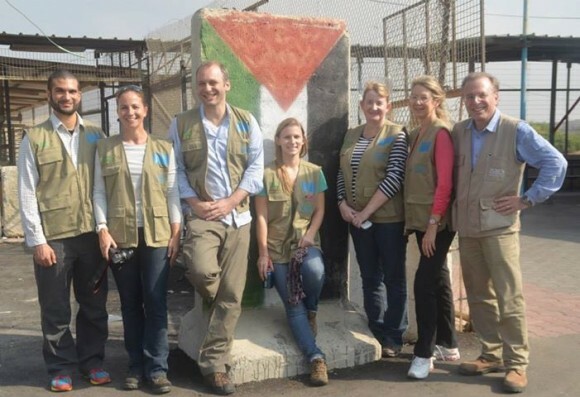 PCRF’s team coordinates and conducts emergency volunteer medical missions to Palestine and Lebanon’s refugee camps and beyond. This year alone they have sponsored and managed over 60 volunteer surgery missions to Palestine, including nearly 30 to Gaza, serving the needs of children living under occupation. The Little Wing Foundation carries out pro bono surgeries for children living in the Middle East and North Africa who have musculoskeletal deformities. Their Facebook page has not been updated since November 2012 when they informed readers the Israeli government had returned their medical supplies for a fee of $1,500. The supplies had been confiscated earlier by Israeli authorities in Ramallah. P.S. Dr. Nancy Snyderman from NBC was not there to report their arrival yesterday. They literally arrived “quietly, with no fanfare“.